Since the introduction of the tests, Ontario has had a great deal to celebrate. High school graduation rates have improved and the gap between students receiving special education supports and other students has been reduced. The results of immigrants who don't speak English when they arrive in Ontario have also risen rapidly. The number of low-performing schools in the province has been reduced significantly and the overall performance of the almost 5,000 schools in the province has radically improved in reading and writing. Since the introduction of the tests, Ontario also has a great deal not to celebrate. While elementary reading and writing scores have climbed, math scores have not. In fact, the overall performance in math has consistently and significantly declined for the past five years. There's also a growing slippage between students in Grades 3 and 6; nineteen percent of students who met the standard of 75 percent in grade 3 did not meet it in Grade 6. Ontario's math performance is on the decline as compared to other countries too; the overall average math score has decreased steadily by 16 points over the past nine years. These results come from the 2012 PISA (Programme for International Student Assessment) scores. Some blame an underlying societal attitude for Ontario's decreasing math scores, an attitude that says some students are good at math while others aren't. Others say teachers aren't as comfortable teaching math as they are teaching reading and writing. Others wonder if the declining math scores are the price Ontario has paid for a heavy emphasis by schools to drive up their reading and writing scores. Whether or not the latter is true, it begs an important question. These are required skills for our unknowable future and standardized tests measure none of them. Robinson says our "fast food" model of standardized education impoverishes the spirits and energies of our children. He believes that our current industrial educational model, based on conformity, needs to be replaced with a model using agricultural principles, where we create conditions under which children flourish through personalized, and not standardized, curriculum. Robinson says that we are still "hypnotized" by many of the ideas that were formed in previous centuries and standardized testing is one of them. Standardized tests were first used in China. They were designed to help the state select the best candidates to work for the bureaucracy as administrative officials. 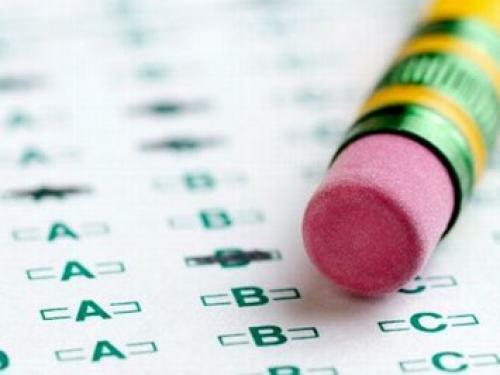 Standardized tests were introduced to Britain in the early 19th century because it was feared that the British Empire would collapse if the tests weren't implemented. The standardized testing movement spread to North America during the Industrial Revolution. Western academics had preferred to use essays to assess their students (this philosophy was inherited from Ancient Greece) but student numbers increased when education became compulsory, making the essay more challenging to mark due to increased volume. Andy Hargreaves and Dennis Shirley, professors of the Lynch School of Education at Boston College write that standardization has "dumbed down our curriculum" and "burdened our schools with bigger government and overbearing bureaucracy." They say that, as a result, Ontario schools cannot adapt flexibly to the future. Hargreaves and Shirley believe that our future depends on developing the "present and future capacities" of our kids and we should do this through mindful teaching and learning. What does mindful teaching and learning look like? It's a balanced approach that teaches kids to reconstruct what they have observed and experienced using both logic (through words) and feelings (through art). Mindful teaching and learning teaches kids to communicate in a variety of ways; to think critically and to solve problems. Mindful teaching and learning gives teachers and schools greater autonomy, flexibility, and creativity in meeting the needs of their students and communities. It allows and encourages kids to think and act independently and to question the world around them. Mindful teaching and learning personalizes the curriculum for students, it emphasizes focus and concentration, effort over achievement, growth over attainment, and cooperation over competition. In Ontario today, we have arguably one of the most sophisticated systems of education in the world. We've made incredible gains through the use of standardized testing, but we've also got some serious deficits to overcome. Standardized testing, considered to be the main route to school improvement, has its limits and it's time to recognize that. It's a tool that was designed centuries ago and it has been a useful way to improve our factory production model of education. But if we want to create an educational system that is able to adapt flexibly to the rapid changes ahead, we'll have to rethink the way we use standardized tests. Hargreaves says that statistically valid sampling is the way to go. This means using standardized tests on smaller numbers of students by gathering random samples, instead of testing every student. Hargreaves says standardized testing is "firmly in retreat" in the United Kingdom, Alberta and Nova Scotia, because it's "just not worth it" in terms of return on the investment. He argues that governments that retain and promote testing by census, which is what we currently do in Ontario, will increasingly find that they are no longer leading school reform, but they are bringing up the rear. He says we must push beyond standardization and data-driven decision making, and release teachers from tight government control, to bring passion, joy, creativity, inspiration and innovation back into teaching and learning. Subscribe to Debbie's blog and receive a free chapter from her book at http://www.debbielkasman.com.